Budapest’s gastro scene has come on leaps and bounds in recent years and eating out in the city offers a tantalizing combination of high quality and reasonable prices. Budapest offers everything from tasty street food to gourmet dining and now boasts three Michelin-starred restaurants. Many authentic cuisines from around the world can now be found among Budapest’s eateries, while Hungarian food is the most exciting in the region. The first restaurant in Budapest to be awarded a Michelin star, owned by the Hungarian festival guru and father of the Sziget Festival, Károly Gerendai. Located in downtown Budapest on Ráday street, just in the buzzing center of University life. A rather expensive but worthwhile experience with an ever-changing seasonal menu and a great selection of wines, wrapped in a minimalistic atmosphere. 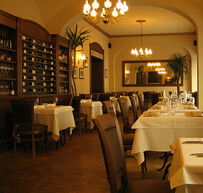 The second restaurant in Budapest to win a Michelin star and hence be regarded as one of the best restaurants in the city. 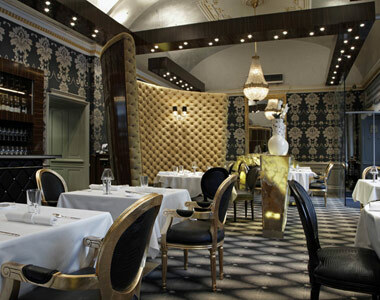 Onyx is situated in the heart of the downtown in Vörösmarty square in the Gerbeaud mansion. It’s an elegant and pricey restaurant that offers a great variety of Hungarian dishes with an extra special touch, as well as outstanding Hungarian and international wines. The newest addition to the Michelin star list of Budapest, Borkonyha is a fusion of a Hungarian family restaurant and a French-style bistro, offering a wide and diverse wine list and delicious food from the two gastronomic worlds. The dishes are made from fresh ingredients purchased daily and the weekly-changing menu is always written on a blackboard. Located in the heart of the city, on Sas street, near to the popular and beautiful Szent István tér. Quite expensive but excellent.The menu is rather costly, but rewarding. In its glory days the Tigris Hotel by József Hild, a famous neo-classical architect, was the most prestigious of the era and home to the cream of Budapest. The cuisine is mainly of Hungarian character as this is the flagship restaurant of the Gere wine-cellars in Pest, where the most significant elements are the wines of their own cellars with some carefully selected bottles from other brands. The restaurant is located in the center of Budapest, within a few minutes walking distance from Deák tér and Roosevelt tér. The Gresham offers both Italian and Hungarian specialities for breakfast, lunch and dinner, while representing the traditional café menus of Budapest, offering a wonderful variety of confectionery, coffee and tea, as well as some delicious dishes. The Gresham Palace is located on the elegant Széchenyi István tér, right at the foot of the Chain Bridge. In return for the steep prices, you can enjoy an amazing view and delightful food. NOBU Budapest is the one of the recent additions to an already impressive chain of global restaurants fusing Japanese cuisine and South American ingredients founded by Chef Nobu Matsuhisa. Located in central Budapest, close to Szent István Bazilika and the Financial District. 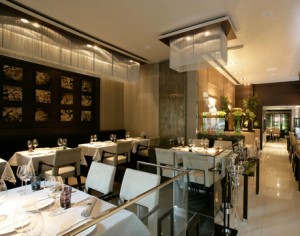 The restaurant welcomes guests with 80 seats including a private room and the sushi bar, while the Lounge Bar can host up to 56 guests with a separate menu and NOBU’s very own cocktail selection. 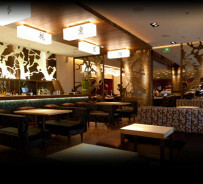 If you like Japanese gastronomy, do not miss NOBU’s signature dishes.